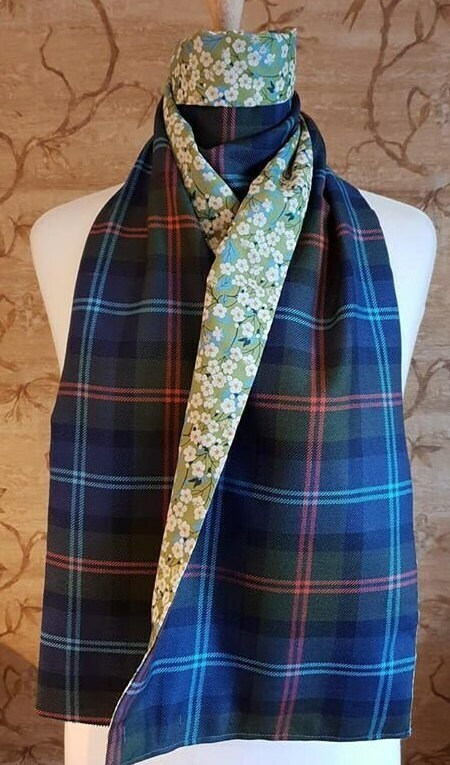 Beautiful Cairngorm Tartan (100% Wool ) scarf, handmade and fully lined with superfine Tana Lawn cotton in Liberty Londons classic "Mitsi" print. 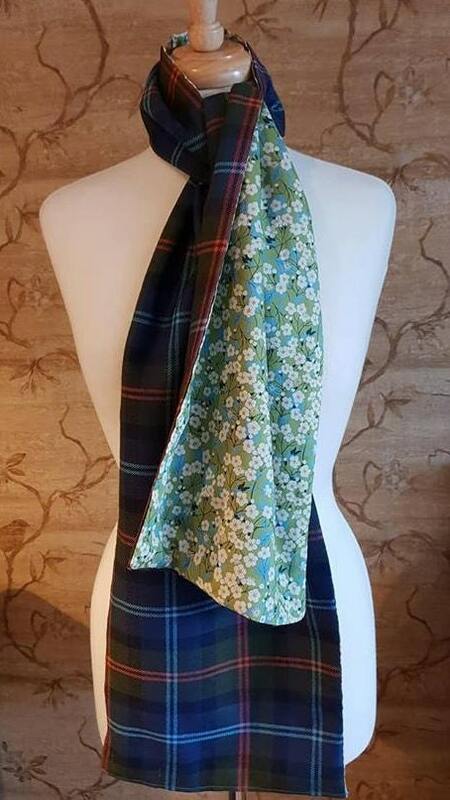 The soft cotton fabric adds a silky touch next to skin, and the harmoniously toned cherry blossom print create areal visual treat with this gorgeous tartan. "Mitsi... print was designed by Gillian Farr, a member of Liberty’s studio in the 1950s. 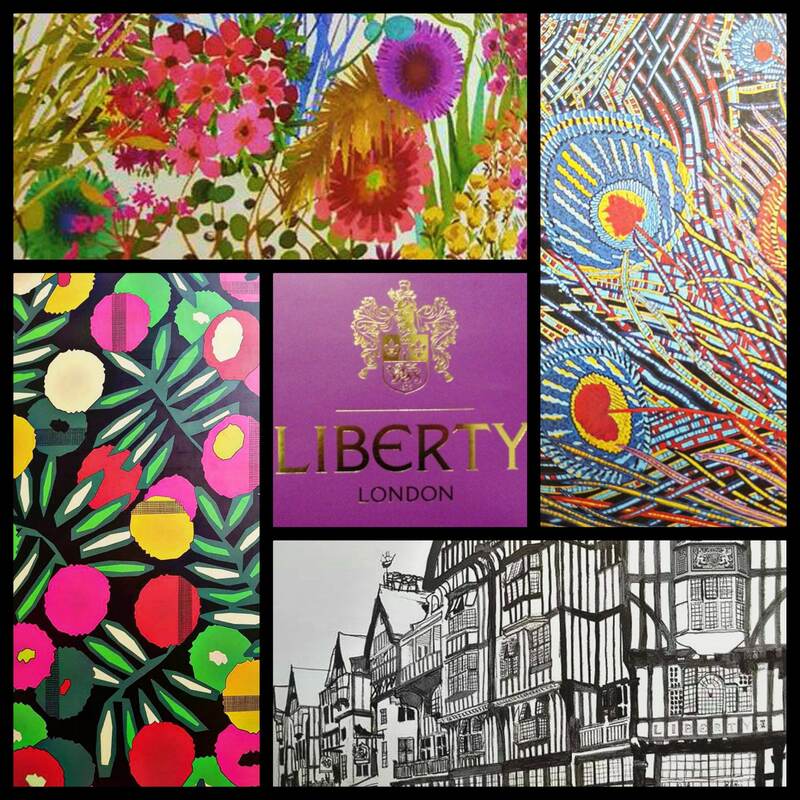 It plays on Liberty London’s history with its Japanese style cherry blossom. 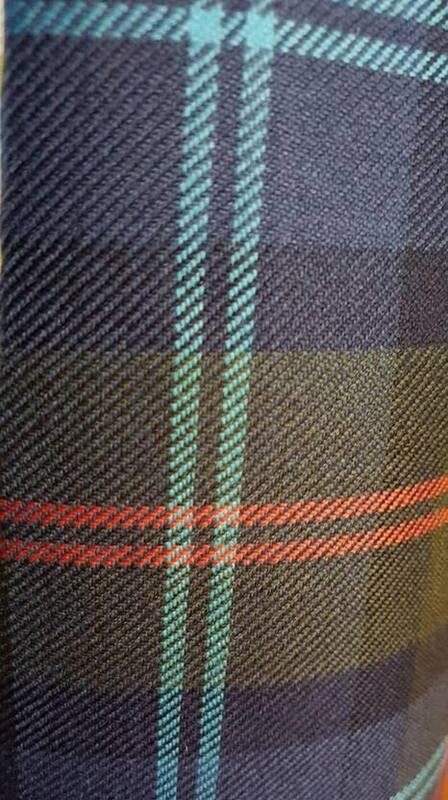 It was brought up to date for Autumn/Winter 2008 and went into the Classic Tana range of 2011. 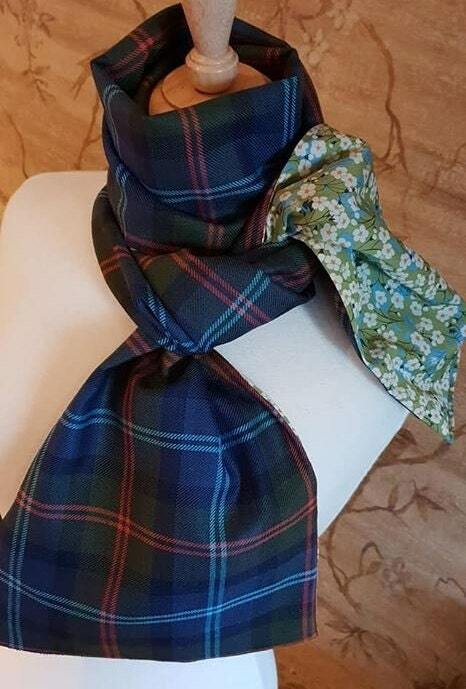 Tana Lawn cotton’s distinctive hand-feel and translucent softness make it a versatile favourite.. "
Drape it, wrap it, tie it - wear it how you want, when you want. 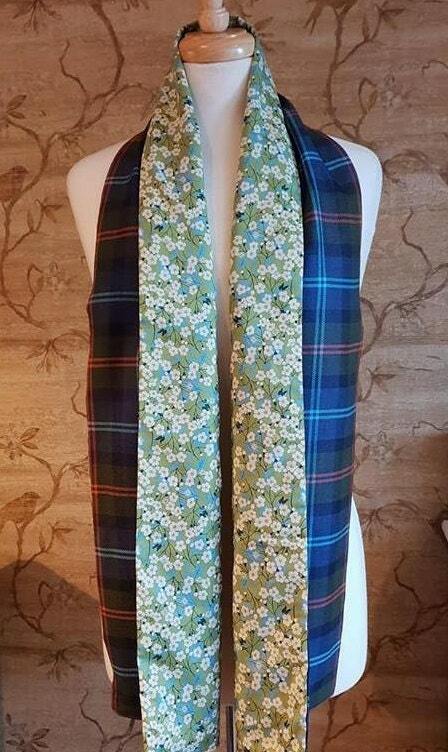 This is a really luxurious lightweight scarf , warm yet not bulky, traditional in style yet bang on trend. 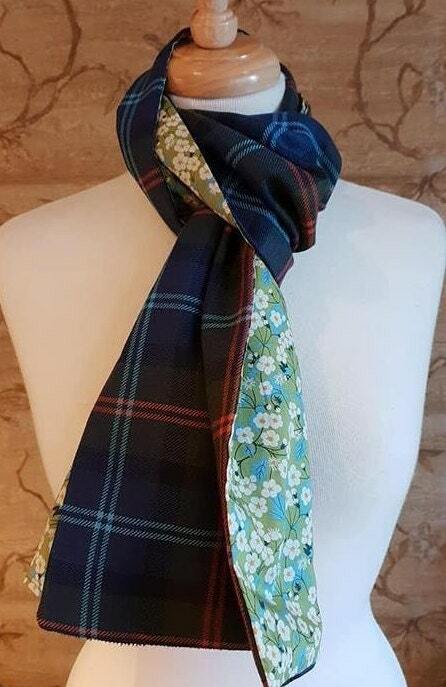 The scarf is both beautiful AND useful - being generously wide and long enough to keep the draughts and chills away- so not merely a visual accessory !